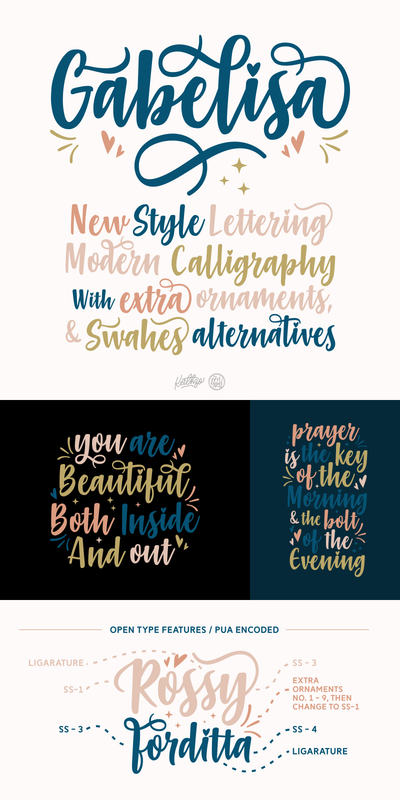 Gabelisa is a jaw-droppingly gorgeous display font that will give your designs a luxurious hand-lettered feel. This swashy, delicate script font comes with tons of stylistic alternates so you can create compelling and unique designs no matter the project at hand. This is a versatile font that works in modern and throwback designs!